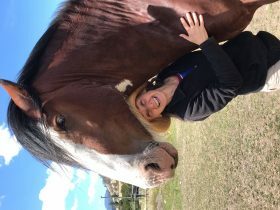 Tarraleah Adventures provides guests the opportunity to immerse themselves in the surrounding Tasmanian Highlands on a bike, kayak and with a fly-fishing rod. Our experienced local guides will share with you their extensive knowledge of the history and the beautiful environment and its inhabitants. You have the opportunity to explore the local highland trout fishing lakes, explore old growth forest and see and learn about the important hydroelectric history and infrastructure integral to Tasmania’s sustainable power generation. A tour perfect for those interested in learning more about the art of fly fishing. 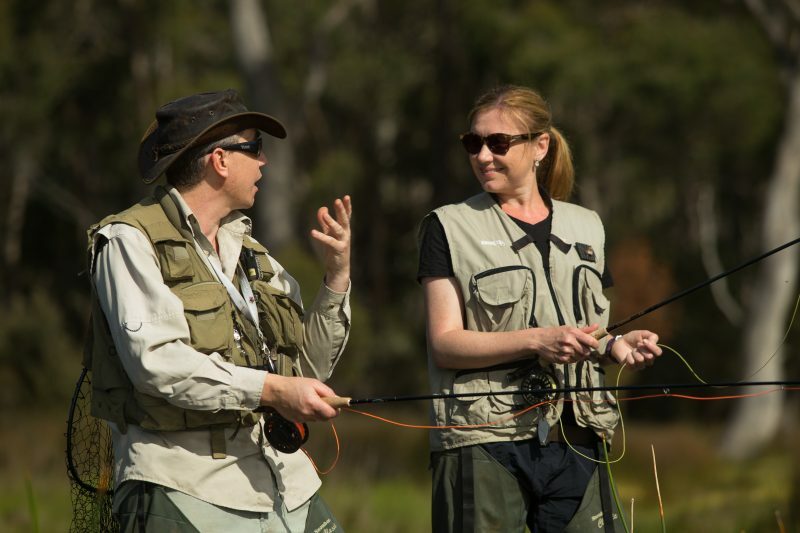 Tarraleah Estate’s local fly-fishing expert, Robbie Aikenhead will take you out to the lake and teach you how to cast, spot and still fish on the surrounding lawns. 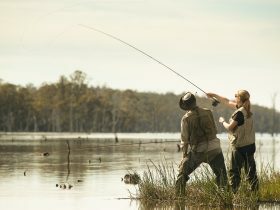 You are then given an opportunity to try your skills out on their fully stocked lake! This 3-hour course is perfect for anyone with an interest in trying out fly fishing, or for an amateur who just wants to get some time being coached by one of the best! 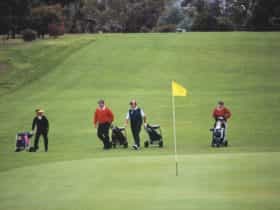 All equipment is provided, and groups are limited to a maximum of 4 people to ensure that everyone gets sufficient one-one-one coaching time. You will be picked up from the Tarraleah Estate reception at a time suitable to your arrival and departure times. Advanced bookings are essential. Be warned – this sport is highly addictive and the fish often win. 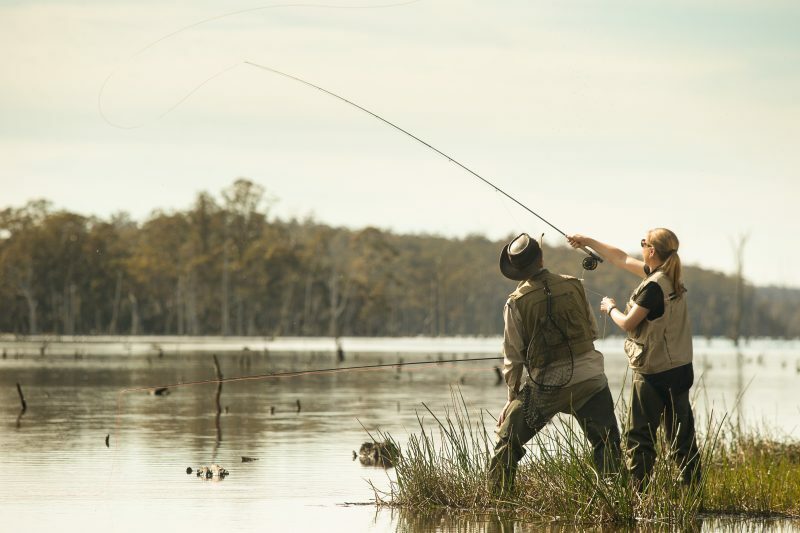 Tarraleah Estate offers one of the best professional fly fishermen, Robbie Aitkenhead, as a guide for its guests to fish the nearby Tasmanian highlands lakes. Robbie will pick you up from the estate’s reception and transfer you to the best locations in the highlands to spot and stalk trout, fish from boat and bank. This 8-hour fly fishing adventure includes transfers, all equipment, lunch, and refreshments. A maximum of 2 people per group helps to ensure individual attention and needs. Larger groups can be catered for on direct request. Departs 8 am and returns at 4 pm. A fishing licence is additional and available at the estate reception prior to your day on the water. Advanced bookings essential. Tarraleah Estates most popular activity this three-hour bike ride will take you through a wet sclerophyll forest below tall trees and man ferns, down hills and along water canals. You will be astounded by the ground-breaking feats and rich hydroelectric engineering history of the area. During a break in a private green forest glade, your guide will prepare you a cooked breakfast of bacon, sausages, eggs, tomatoes, mushrooms, and hash browns. Special dietary requirements can be catered for on request. This tour is suitable for all levels of fitness and can cater for children 12 years and older. All equipment is provided and there is a minimum of 2 or a maximum of 8 people per tour. Advanced bookings are essential. This is an all dirt road ride along bush tracks and roads on and surrounding the Tarraleah Estate. You will explore the stunning views and intriguing hydroelectric engineering pipes and Hydro canals. 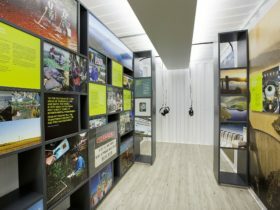 Your guide will provide an insight into the life of those involved in the building of Tasmania’s hydroelectric scheme. The tour is 3 hours in duration, departs at reception at 1pm and returns at 4pm. It is suitable for all levels of fitness and caters for children 12 years and older. All equipment is provided and there is a minimum of 2 or maximum of 9 people per tour. 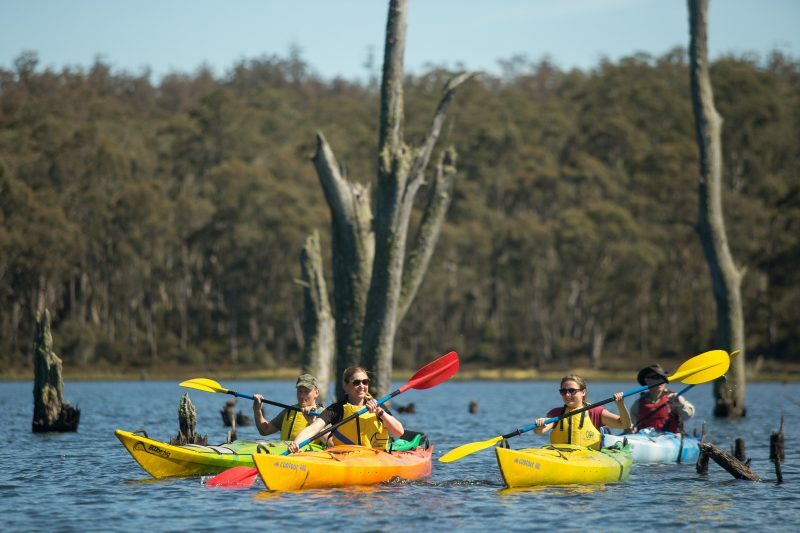 Take a kayaking tour adventure onto a serene Tasmanian Highland lake where you will glide along its stunning waters with dramatic mountain backdrops to explore the shores of a temperate rainforest. Join your guide at spotting local insects, monster trout and local wildlife such as platypus and sea eagles. Perfect for families, couples and groups of friends after a unique and memorable kayaking experience. Both single and double kayaks are available and they can cater to all levels of fitness. Minimum age is 12 years and they can take a minimum of 2 or maximum of 8 per tour.